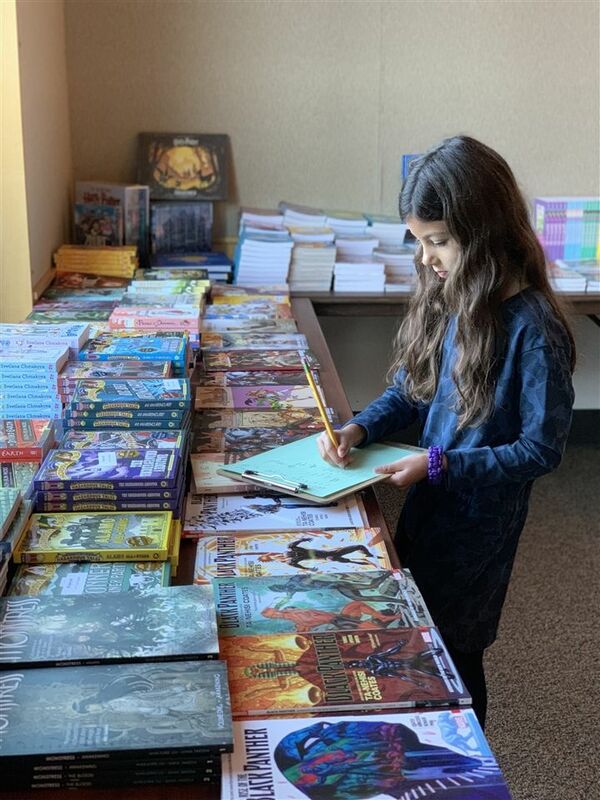 The Community Room was buzzing this week with one of The Bush School’s favorite events: The Book Fair! From November 27 through Thursday, November 29, our very own on-site bookstore was set up in the Community Room. Books were available for all ages—from pre-K to adult! The school received 15% of net sales, every penny of which went to financial aid at Bush. This year we continued our partnership with our closest local public school: Madrona Elementary School. Last year, the Bush community donated eighty-nine books to Madrona; this year we are hoping to top 100! We hope you were able to come by and grab a book for you, your friends and family, or your child's classroom. For more pictures from this event, visit Vidigami.